People across South Ayrshire are being warned to be vigilant against a growing number of rogue traders being reported in the area. The Council’s Trading Standards service has recorded a 25% increase in calls about suspect activity, with home repair cons being the biggest problem area. Common scams used by bogus callers include offering to replace missing tiles or broken gutters, or giving a cheap price to clear gardens and paving stones, but then charging much more for unnecessary ‘extra’ work. In one recent case in Ayr, a pensioner was caught out after agreeing to have work done on their property following an uninvited doorstep call. The person ending up paying more than £12,000 (a figure which included £4,000 of additional work, agreed to after the project began). However, experts valued the work at a fraction of what was actually charged. Councillor Ian Cochrane, South Ayrshire Council’s Portfolio Holder for Sustainability and the Environment warned that anyone with any doubts about tradesman should turn them away, “Unfortunately, rogue traders are nothing new, but the way they approach people has evolved over the years, and people need to be wary about uninvited doorstep callers. “Some businesses may seem legitimate, with local phone numbers on their paperwork, but this kind of information can be easily purchased. 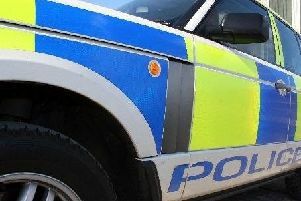 “We’re also starting to see more people from outside South Ayrshire going door-to-door in the hope of making fast cash. South Ayrshire Council operates a Trusted Trader scheme, which is a directory of businesses that have been vetted, and who have made a commitment to treat their customers fairly. “The ratings for businesses in the scheme are based on customer experience and customer feedback. More information can be found on the Trusted Trader page of the Council’s website. South Ayrshire Council’s Trading Standards service advises residents should be vigilant and look out for elderly and vulnerable people in the community being targeted by rogue traders. Most victims have been identified by neighbours and family members who were worried someone was being taken advantage of. Anyone who has agreed to have work done as a result of a cold call should be aware that any contract that is agreed in their own home, or on premises other than businesses premises, has a 14 day cooling-off period during in which it can be cancelled. If the trader wants to start the work sooner, written consent must be granted and signed for, otherwise a consumer can cancel without payment. If you suspect there is anyone suspicious operating in and around your area, contact Trading Standards or Police Scotland. Free ‘No Uninvited Traders’ stickers for residents’ doors are available from the Trading Standards.